« Would you pick more daisies…..
A Lesson from Hugh Laurie…..
- Dr. House treats only those who come to him as a last resort. These are the patients with seemingly unsolvable illnesses. 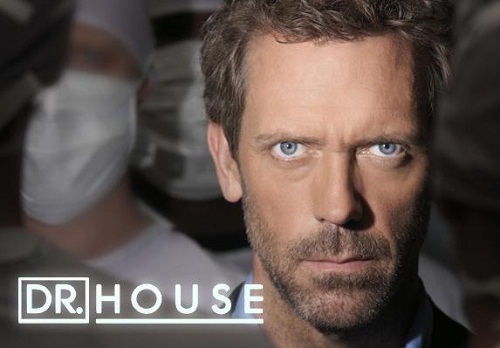 Invariably, House quickly assimilates the information available, makes a diagnosis and prescribes treatment. Often he’s wrong, but the patient’s response to the treatment gives him more information into what’s wrong. Or, to put it another way, his action enhances clarity. Planning, planning and more planning doesn’t always make for the best decisions. When Meg Whitman, the former CEO of eBay, bought Skype for $2.6Bn, she was asked what her future plans were for eBay. Her reply was, "Forget about 5 year plans, we’re working on 5 day plans here." I’m sure Whitman had looked 5 years into the future, but given that product and business life cycles are so short, Whitman and her team had to work out much of the plan as they went. Based on a large body of evidence, Gladwell argues that "decisions made very quickly can be every bit as good as decisions made cautiously and deliberately." He quotes a study undertaken in 2006 which showed that people can accurately predict the result of political elections after seeing just 10 seconds of footage of the candidates. At some point you have to stop thinking, stop planning, stop procrastinating and do something…..anything! So what decision have you been putting off? Trust your instincts, make a decision (TODAY!) and run with it. The more you chase it, the more it eludes you. it comes and sits softly on your shoulder. 1. You offer someone a sincere compliment on their moustache and suddenly she’s not your friend any more. 2. This one goes out to all the amnesiacs out there, and don’t think you know who you are. 3. The neighbour just asked if I was stealing his wi-fi, it felt like such an invasion of my piracy. 4. Baby with a bib that said, "This dumbass put my cape on backwards." 5. Exorcism is nothing but the removal of a beast implant. 6. All knight diners were big during the Renaissance period. 7. It takes a long time for a giraffe to swallow his pride. 8. I wonder how things worked out for the guy that grabbed the bull by the horns. 9. When we got married she treated me like a God. A few years later and the letters have been reversed. 10. I hate it when you’re making your way home drunk, minding your own business, and someone steps on your fingers. This entry was posted by Sunil Bali on September 11, 2011 at 7:01 am, and is filled under Mindset, Set & Match. Follow any responses to this post through RSS 2.0. Both comments and pings are currently closed.